Korg Volca Beats Analogue Rhythm Machine The Volca Series offers the ideal introductory synthesizers, giving you unlimited sonic enjoyment and letting you create a diverse array of sounds tht can only be obtained through an analog synth. Volca Beats gives you real analog sounds created with reference to classic rhythm machines. Analog rhythm machines continue to dominate the stage, bringing thick sounds that have the power to stand up to guitar and acoustic drums, still indispensable for track-making and live performance. Volca Beats gives you analog drums, plus the easy-to-use step-sequencer of the Electribe, so you can turn your inspiration into reality and generate beats with the best high-quality sounds. Volca Beats provides six of the sounds for which the greatness of analog shines most clearly - Kick, Snare, Hi Tom, Lo Tom, Closed Hi Hat and Open Hi Hat. Created with reference to classic rhythm machines and indispensable to dance music, these new powerful sounds can only be brought to justice on an analog machine. The Volca Beats analog rhythm machine has a compact size and a built-in speaker, easily playable anytime, anywhere. The ideal starter-synth. Considering purchasing the Korg Volca Beats? Have questions? Ask people who've recently bought one. 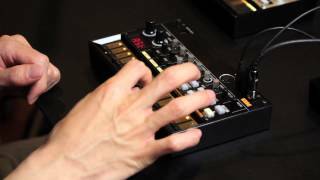 Do you own the Korg Volca Beats? Why not write a review based on your experience with it. Quick delivery, great value, cannot wait to complete the series. The Volca series are great to learn on. Seen a video for Korg Volca Beats online or have you own video? 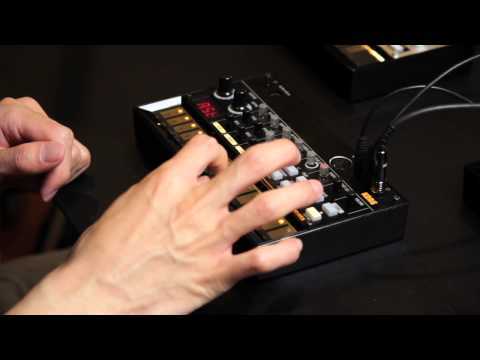 Check out Korg Volca Beats on DJkit.com!